This post was written by Laura Bell, Digital Archives Intern, Smithsonian National Zoological Park (Exhibits Office) and Smithsonian Libraries (Dec. 2017-May 2018). What do most people picture when they imagine an archive? Probably a grand building with old, precious documents like the U.S. National Archives and Records Administration building in downtown D.C. Some people think of the movie National Treasure. But, not every archive holds centuries-old documents. Some archives are for the preservation and access of our digital lives and collections. At the Smithsonian’s National Zoo Exhibits Office, those daily-used files relate to the information and interpretive materials that are created for the different exhibits and animals housed in the Zoo. The many species of animals and information about them have to be presented to Zoo visitors in a way that is both accessible and appealing. Not everyone knows the history or science behind every animal. Exhibits provide that information! 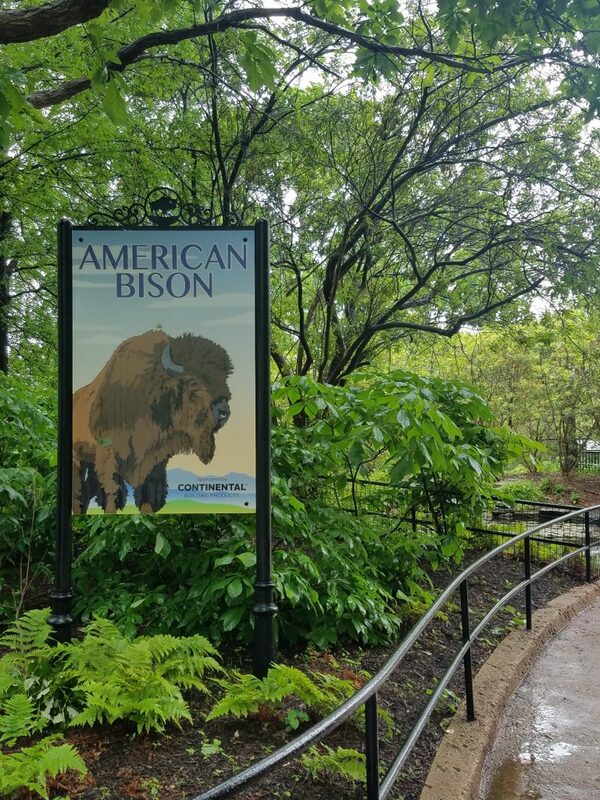 The American Bison at the Zoo have a long history with the Smithsonian, the exhibit highlights information both about their history in the Zoo, some fun facts, and their cultural history. (photo taken by Laura Bell). The files used to create these exhibits need to be saved for later use and reference by the Exhibits Office staff members. As long as an exhibit is open or an animal is at the Zoo, those files might be needed! The digital files themselves also show the history of the Zoo and how exhibits have changed over the years. Archives provide long-term accessibility to materials and preservation of information– all kinds of information. A digital archive can be a detailed database or system with numerous layers for information storage with search capabilities, or a digital archive can be a simple drive on your home computer that is regularly backed-up and organized to fit your preservation and access needs. Records management practices and digital preservation can ensure that records (physical or digital) can be easily archived and accessed. Numerous issues can occur when trying to ensure long-term access to files in a digital archive. Over time, digital media can deteriorate and become unusable; older files may be in formats that are now obsolescent; storage software and hardware may be limited, hard to use, or may degrade over time; a lack of metadata can make it impossible to find digital files or to understand them because of a lack of context; and the absence of records management workflows can create confusion about responsibilities and best practices for filing items appropriately. Long-term preservation and access to digital objects can be difficult. Creating a usable digital archive and records management workflows with which to file and store items can solve many of the potential problems associated with digital preservation. 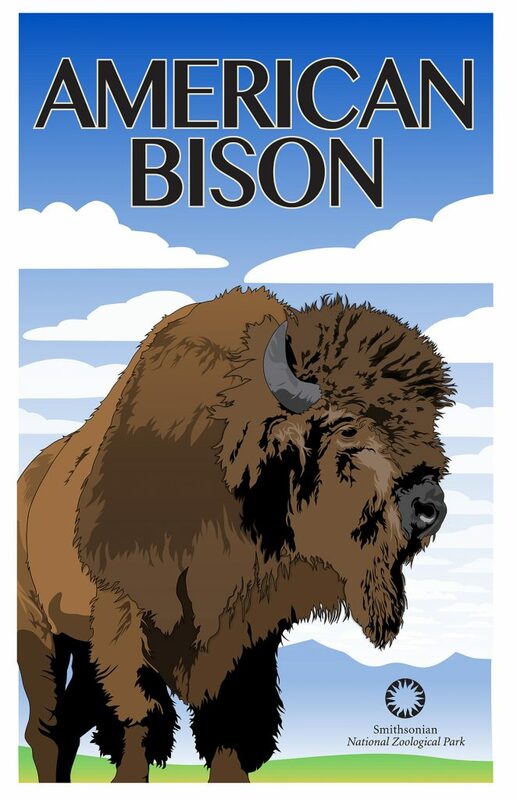 For example, if the Zoo Exhibits Office staff need to change their sign for the American Bison exhibit, finding and using the original file for reference and for editing is an important part of their workflow, therefore they need their digital archive to allow them to find and access that file. Organizing physical files or saving our digital files might be tasks many of us do during work every day. But, these tasks can come with surprising challenges. Now that we live in a digital age, how do we create, share, save, and then later find and use our digital files? How can we ensure that files used by multiple people can be saved and then later easily accessed as needed? What method of organization will be most useful and most accessible to the most people? What happens if the only person, or people, in an office who can find particular files leaves and no one knows where to find their work? These are the issues that make digital archives interesting. During my internship with the Smithsonian’s National Zoo Exhibits Office and the Smithsonian Libraries I worked with the Manager of Exhibit Planning and Development and the Science Researcher Services Librarian to find solutions for these questions. The Exhibits Office at the National Zoo regularly plans and creates exhibits that interpret the many animals at the Zoo for the public. New ideas, images, illustrations, maps, graphics, administrative planning and budget information, etc., and the corresponding files (Word Documents, Adobe Photoshop files, InDesign files, and others) are created or used every day, all day. As the exhibits are created, updated, changed, or moved, the corresponding digital files are often used, reused, or referenced by the Exhibits Office staff for research, planning, and exhibit creation. The graphic design files are often quite large, making their use and storage tricky at times. No one wants a computer crash or the ‘spinning wheel of death’ just because they need to save or use a file! These files are not ‘archived’ in a traditional sense because they are still used. Because these digital items are all regularly in use to create exhibits, they may be needed for research or reference when that exhibit is changed or in need of new information. Eventually, some digital files will fall out of use and can then be assessed for transfer to the Smithsonian Institution Archives or for weeding and deaccession according to the records management practices in the Exhibits Office and planning with the SI Archives. In the meantime, how can we make sure that these digital assets are accessible (read: findable) to the Office members whenever they are needed? The Zoo Exhibits Office had (until recently) been storing their files in a loose organization that reflected many different people’s work over a number of years. Some files are from the 1990s! Some items were organized by animal, other items were organized by exhibit, and in general files were difficult to find because the filenames often provided little context or information about what they contained. One of the main concerns was the possibility for loss of institutional knowledge. What happens in a few years when staff members move, retire, or change jobs and are no longer available to help locate files or provide their knowledge about the Office and it’s digital assets? Relying on only one or two people to locate and save all of an Office’s history and knowledge can be problematic. 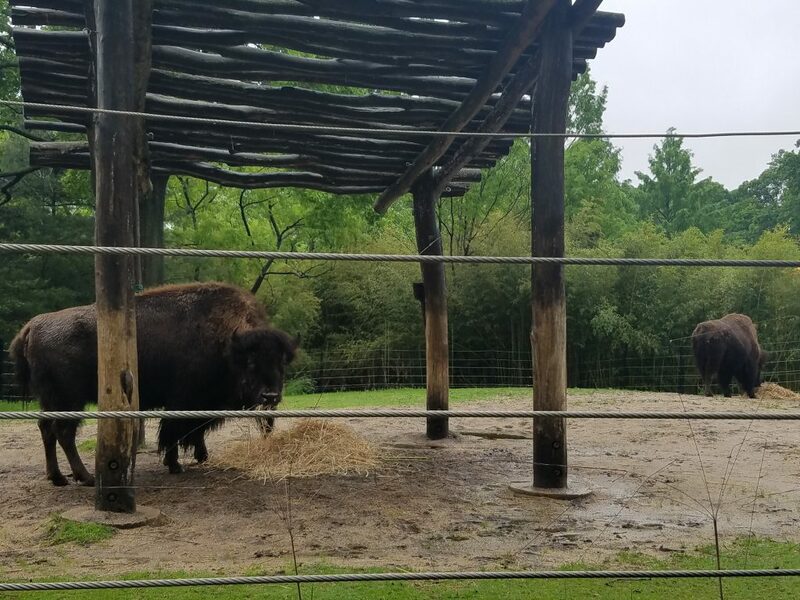 The goal for my internship at the Zoo was to help plan and implement a file structure and workflow that allowed files to be saved in a way that makes them accessible, findable, and therefore usable in the future to anyone within the Office. I began looking for solutions for the accessibility and findability of files by interviewing the graphic designers and exhibit developers who regularly use and create the files in the Exhibits Office. Gaining an idea of how the Exhibits Office staff share and use the files, where they currently save items, what their workflows have been, and what they wanted to change, helped me gain a sense of how workflows regarding saving files, access, and overall user experience when saving and using files could be improved. I also researched records management and digital archives best practices, read the SI Archives policies relating to records management for electronic files, and researched possible systems and products that might be used to improve the accessibility of the files used and saved by the Exhibits Office. I researched systems and products such as Preservica, Archivematica, SharePoint, and other content management and digital asset management systems that I thought might be useful for an office that internally shares its files regularly. Eventually I found that these ‘out-of-the-box’ systems would not necessarily be the right fit for the Exhibits office right now, especially since the Smithsonian already has a Digital Asset Management System. I originally thought this project would call for the use of a Digital Asset Management System that would allow the office to upload and save digital objects and make them searchable using appropriate metadata. We even discussed this with Mehgan Murphy, the NZP Archive Collections Manager who maintains the extensive photographs database for the Zoo using the SI DAMS, and with the Smithsonian Libraries’ Metadata Department Head, Suzanne Pilsk. But, we quickly found that while the SI DAMS could eventually be used as a way to preserve and provide access to illustrations, images, finished graphics files and possibly other digital objects used to create exhibits, it was not a good fit for storing the many other related kinds of administrative files, documentation, and working files that are created, saved, and often reused or referenced after an exhibit is planned and built. Time and other constraints showed that such a solution might be better for later. So the main focus became: how to organize the digital files on a secure server in a structure that could be used to easily find the files now and in the future. Some aspects of this project were surprising. Early in my internship I learned that the files created and used by the office were not all saved on a secure regularly backed-up offsite server. 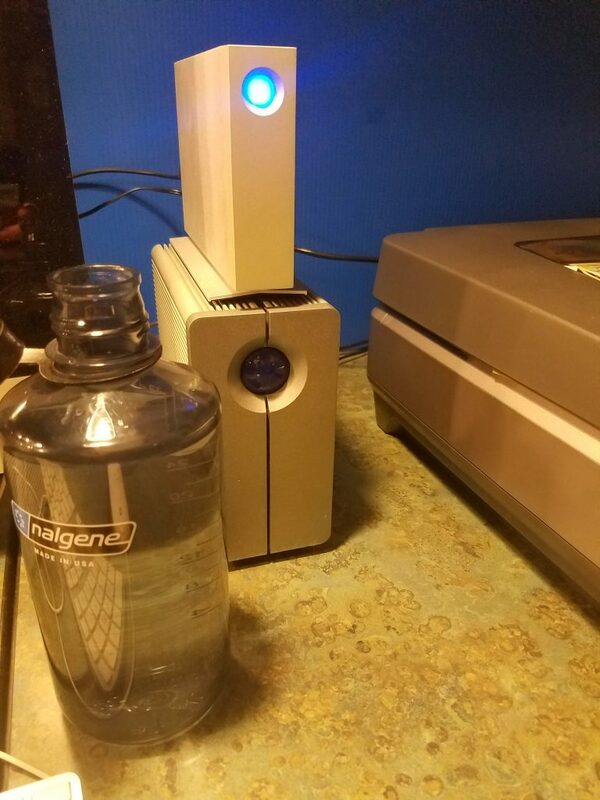 The Exhibits Office had been using a networked external hard-drive in the office, named R-2, that allowed users to easily and quickly save and share files within the office. It was a great solution for file sharing between the exhibits staff. But, I couldn’t hide my worry. There was one significant problem with that system. Disaster could wipe out the files at any time. Without regular backups, secure storage, or physical and environmental control, the hard-drive, and the many many files it held, were at serious risk. One accidental water spill could have wiped out huge portions of exhibit designs and Office data. Digital archives and trusted digital repositories are built to provide long-term preservation and access. To do this, both the digital environment and the physical environment that control and store the digital information have to be trustworthy. In order to make sure that we had a safe and stable environment with which to store the Exhibit Office old, current, and any new files, we needed to migrate the contents of the hard-drive in the office to the Smithsonian’s shared server which is password protected, regularly backed up, and maintained in a secure, offsite location. Of course implementing this solution took time, help from some wonderful Smithsonian IT professionals, and it wasn’t without a few hiccups. Using the shared server now has introduced its own set of new challenges and changes in work flows. Because the exhibits staff use and create such large files, the shared drive can’t necessarily be a ‘work area’ because it doesn’t have the needed speed. But, it works well as the digital archive where files can be saved, accessed, and downloaded from, when they are needed. A few changes in workflows can help ease the transition to using the new server and saving items appropriately. However, this means that having the files organized in an accessible and usable structure so that they can be found, downloaded, and then saved later is more important than ever. Interviewing the exhibit developers and graphic designers in the Exhibits Office allowed me to learn how the files were being used and saved. I was able to gain an idea of who used what and how. Then, Cheryl Braunstein, the NZP Manager of Exhibit Planning and Development, Kristen Bullard, the SI Libraries Science Researcher Services Librarian (and former NZP/SCBI Branch Librarian), and I began working on different ways to organize the files so that they could easily be found and used even if they had not been used for months or even a year. We discussed file naming and different possible infrastructures in which to organize the files, until we found solutions that we thought would work best. Changing practices and using a new system always takes time. By the end of this internship I hope to have accomplished four things. Moved the files used and created by the Exhibits Office to a password protected, backed-up, off-site server. Organize at least some of the existing files into the created and agreed-upon main file structure. Establish naming conventions so that new files created, or edited, can be named in a way that makes them accessible and therefore usable to all staff members. Establish records management workflows so that the users know where and how to save files and therefore how to access them later. Also create an outline of how to assess legacy files to be considered for transfer to the SI Archives and/or to the SI DAMS. The files are already now stored in a secure off-site server that is backed-up regularly; a portion of the files are now organized into the new organizational structure, though more will need to be moved by the staff members later; naming conventions have been created and agreed upon; and a workflow that defines who should save files where and when has been created. While not all current files follow the naming convention that has been created, I’ve worked on a few example folders finished project files to show that over time, older files could be renamed to fit the convention. But, the priority for the Exhibits Office staff is to use the naming convention with all new files. This will take time. Learning and remembering to use the new filename rules, remembering to use the workflow for saving files appropriately, and communicating as needed to accomplish effective file organization isn’t something that can happen overnight. Another task for the office moving forward will be to begin regularly assessing their old files in order to send items to the SI Archives for long-term preservation. The exhibits at the Zoo have changed many times over the years. 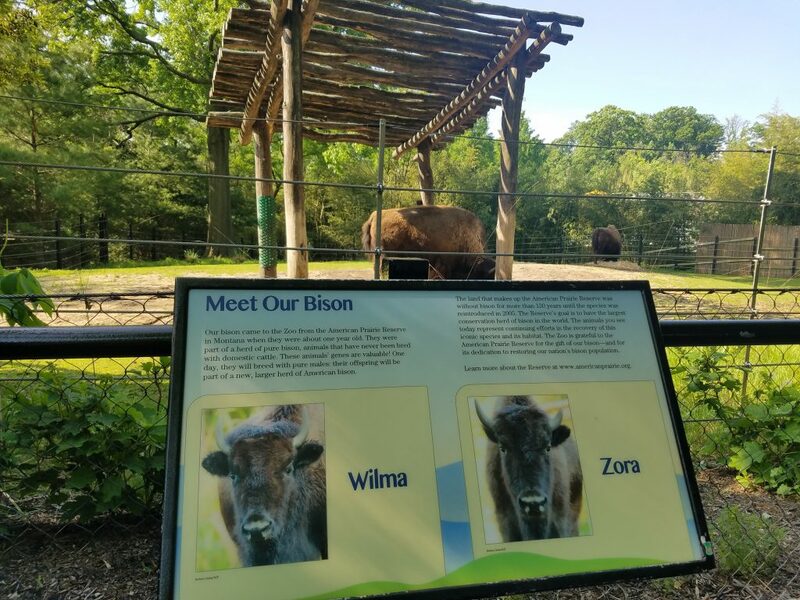 The photographs, production files, graphics, and documentation that portray the Zoo and its interpretive materials over the years have significant historical value to those interested in the history of museums zoos and to others. Transferring legacy files to the SI Archives and adding illustrations to the SI DAMS will both allow the Exhibits Office to have more server space to save their current work files while also ensuring that the digital documents reflecting their work over the years are maintained and preserved long-term for future use and research. File organization and implementing records management practices can be just as complicated as organizing a new archival collection of physical papers, photographs, and artifacts. I think the most important lesson that I’ve learned during this internship is that it’s important to create records management and file organization rules and protocols, and decide on workflows for organizing your digital information, early. Then even after changes in computers, new hires and staff changes, new technology and file types, or other changes, digital information is always easy to access.